Every Monday, I prepare the week’s gluten-free, dairy-free meal plan for our glorious group of meal planning ninjas. They’re not actually ninjas, but after a couple of weeks on the meal plans, many have reported feeling like they could become a ninja, if the opportunity arose. 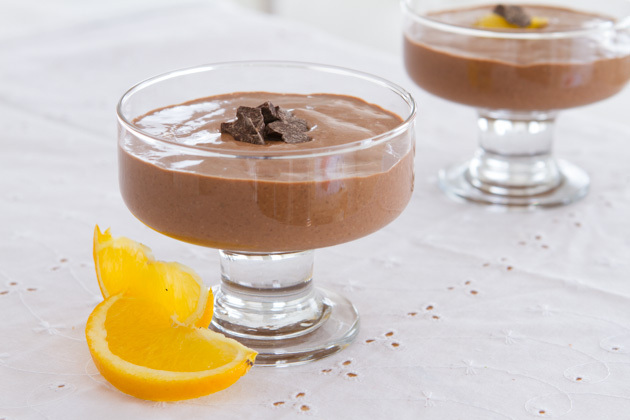 A lot of the meal plan subscribers (aka ninjas *wink*) have told me that the chocolate pudding recipe that I shared with them a couple of months ago was an absolute treat. Originally, it was made with a dairy-free mixture of full-fat coconut milk and non-dairy yogurt, but when it came time to create a new round of recipes for my friends at Happy Days Goat Dairy, I decided to take a twist on your favorite dairy-free pudding and make it with goat yogurt instead. The result was pure bliss. It is chia pudding, but the pudding is blended so that there are no visible chia seeds. The chia acts like gelatin – making the pudding firm and very pudding-like, and is guaranteed to entice even the most opinionated chia pudding skeptic. Can’t handle regular dairy? 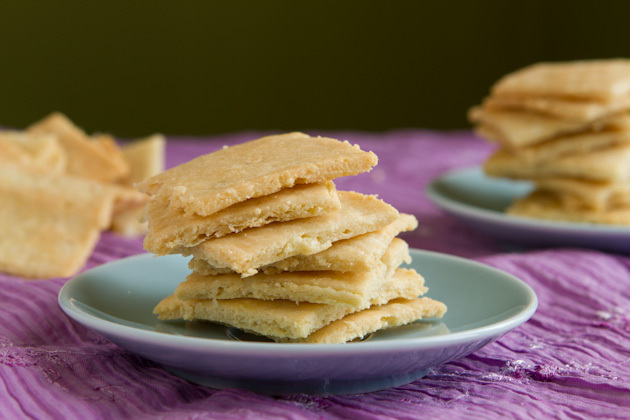 Using goat milk helps with the digestibility of this dessert. Can’t do goat dairy? 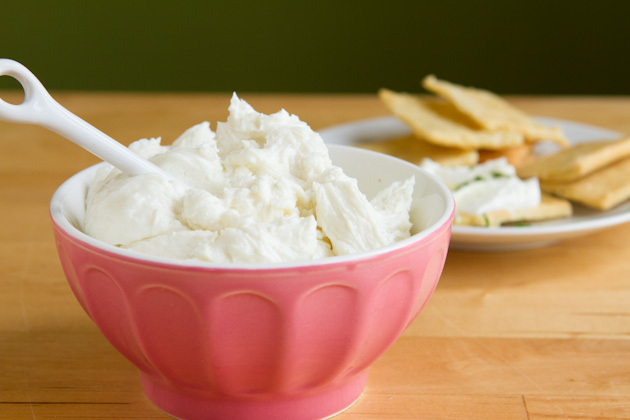 No worries, just replace the yogurt with your favorite non-dairy yogurt. Easy. 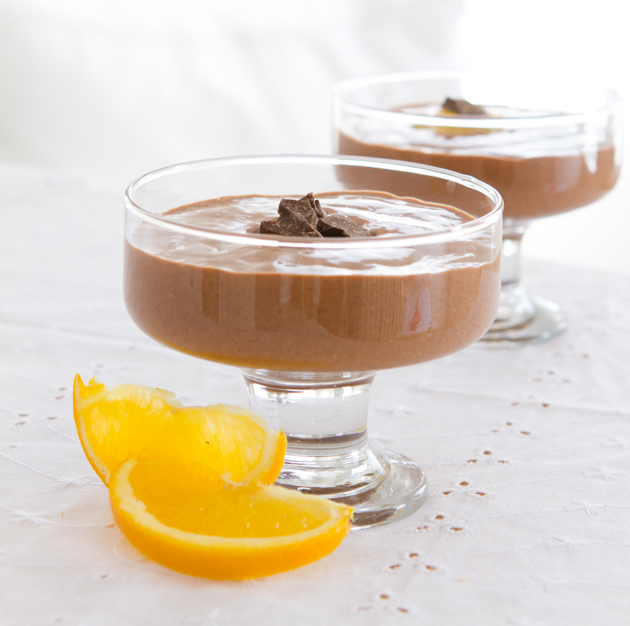 Chia seeds are used as a thickener in this healthy chocolate pudding recipe. In a small saucepan, add orange juice, sugar, cocoa powder and vanilla extract. Heat on medium-low heat, stirring constantly until sugar is dissolved. About 3 minutes. Set aside and allow to cool for a couple of minutes. 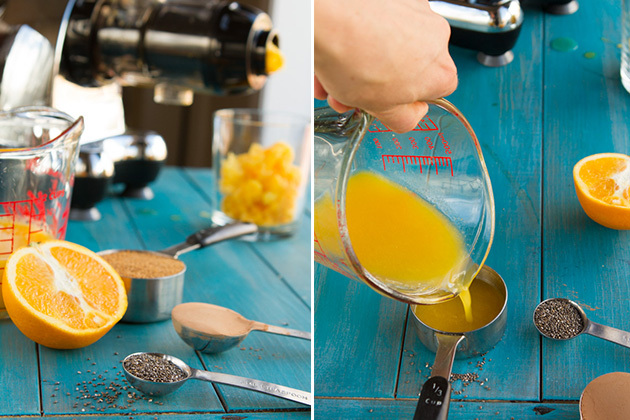 Pour into the jug of your high-powered blender or food processor. 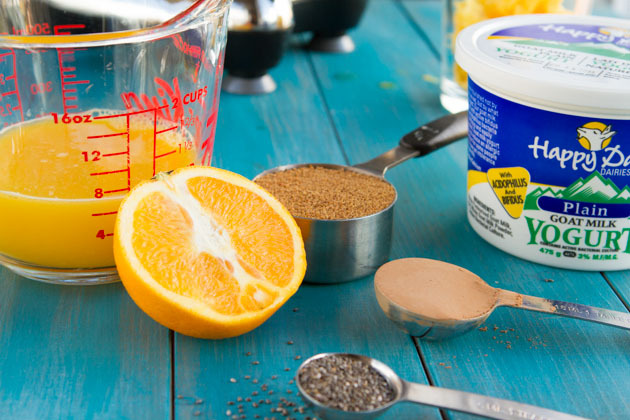 Add chia seeds and yogurt. Blend on high for 30 seconds, until incredibly smooth. Transfer mixture to a bowl, cover and refrigerate overnight, for at least 12 hours. 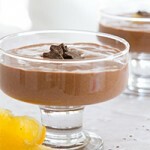 When serving, add orange slices and shaved chocolate, if desired. 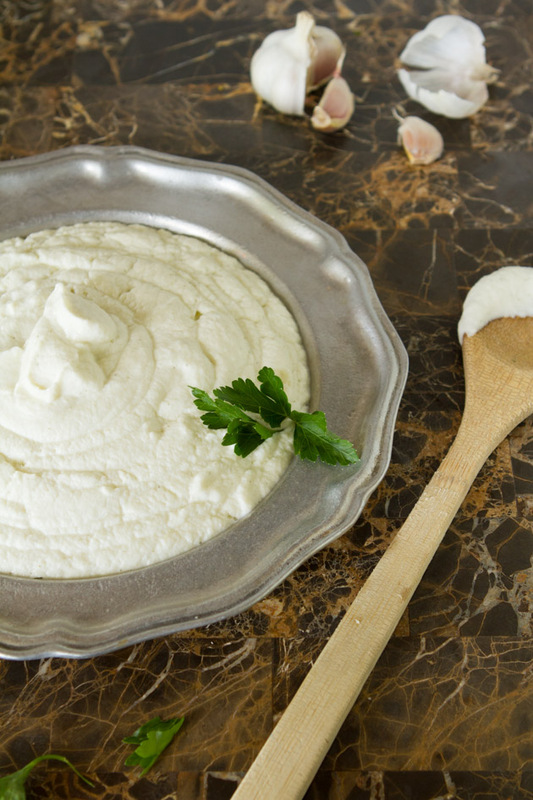 Yogurt: to make dairy-free or vegan, simply use your favorite non-dairy yogurt! and last, but certainly not least (my Mom LOVED this recipe!) a delicious batch of my 4-Ingredient Garlic Mashed Mockpotatoes. I would love to know — if you had all the time in the world and your eating style (meals, snacks, everything), 100% worked for you all the time… what would your life be like? Are you living it right now?